Word on the Street: During the Knope contest for the best public library, the ELGL family saw firsthand how much McKinney loves its library. I was especially impressed with his innovative approaches to reaching out to colleagues and the public. 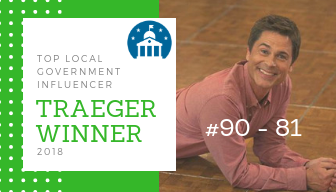 Word on the Street: Randy’s the epitome of the Chris Traeger award. He’s an inspiration to many in the profession and his work at the Village inspires many in local government to take risks and test innovative concepts. Randy influences others because he’s willing to share his experiences. He also makes a tremendous impact on the profession by mentoring and guiding aspiring professionals, selflessly helping others find their path, their confidence, and passion for service. Word on the Street: In moving from Oregon to Maryland, Scott brought along his ability to communicate and build relationships. Scott is very conscientious about addressing City policies, procedures and environmental issues that impact a wide range of topics within a City government. Word on the Street: The South Carolina Chapter of the American Public Works Association (SCAPWA) named Holt as the Outstanding Public Works Manager of the Year. He received the award for his initiatives, innovations, and improvements during the past three years in South Carolina. Word on the Street: Jimmy brought an incredible wealth of knowledge and expertise to Miami Beach, including serving on the Miami Dade Board of County Commissioners for eight years. His commitment to public service has been recognized by the Greater Miami Chamber of Commerce and Colombian American Service Association. Word on the Street: Amrinder started his career in Local Government at the age of 25 as a Code Enforcement Officer with the City of Reading, PA. He worked for the Department of Community Development, Division of Code Enforcement which manages housing registration & inspections of over 20,000 rental units, health permits & inspections, illegal rentals, vacant & blighted properties, property complaints, and enforcement of all city codes administered under the division. In 2017, Amrinder also obtained the Master Code Enforcement Professional Certification from the American Association of Code Enforcement. The Master Code Enforcement Professional (MCEP) is the highest level of certification the American Association of Code Enforcement offers. While thousands of code enforcement officials are certified, only a small number have received this distinction. Amrinder was the first Code Official in Pennsylvania and at the time only one of ten in the entire country to earn the certification, which requires and demonstrates commitment to the profession, diverse knowledge of codes, and a high level of self-initiative. In June of 2018, Amrinder, at the age of 30, joined the Municipality of Norristown as the Director of Code Enforcement & Building Code Official. In the short time has been there already, he has made numerous operational & customer service improvements and is working on many projects such as a comprehensive review & update of all ordinances and codes that the Dept. of Buildings & Codes administers and enforces, implementation of written standard operating procedures for all operations, which none currently exist, identified rental properties that have never been inspected by the Municipality in the last 5 years and implementation of a strategic rental inspection program, identifying properties with open building permits & inspections and implementation of a strategic building inspection program, implementation of systems and procedures to make a more efficient, productive, and uniform Buildings & Codes Department, and introducing technology to help and make it easier for constituents, residents, property owners, developers to be able to do business with the Municipality. Word on the Street: Phil brings a valuable skill set to local government. He had two stops as Assistant Village Manager – one in Deerfield and one in Northbrook. Since 2013, Phil has served as the eighth manager in the 100 history of Glencoe. He is directly responsible for oversight of the Departments of Public Safety (only one of two combined police/fire/paramedic departments in the State of Illinois). 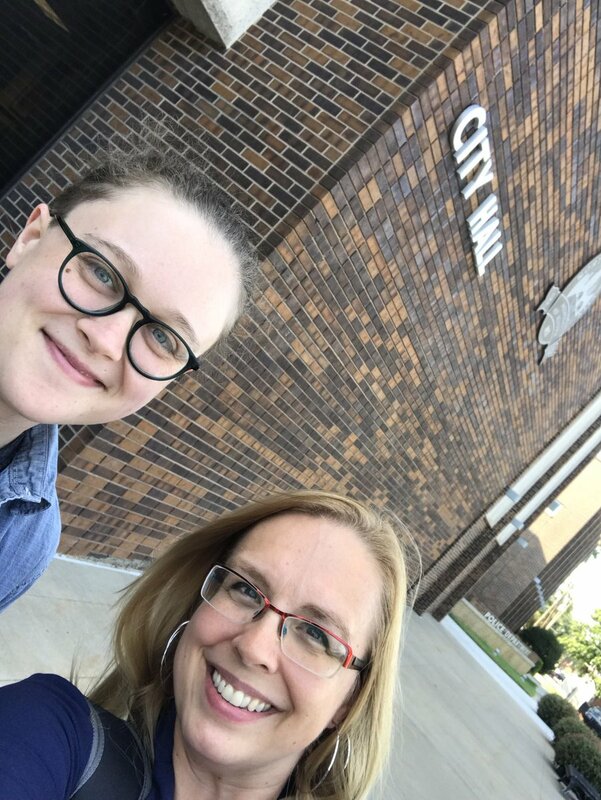 Word on the Street: Leigha assisted the City of Topeka in landing on the honor roll of What Works Cities certification. Her efforts have paid off within the city and community. Residents have benefited by gaining a better understanding of available city services and government activities. Word on the Street: Kim is fiercely dedicated to the public she serves and does her job with humor and grace. She demonstrated that commitment while serving as a board member of Downtown Blue Springs Main Street, Inc. She was recognized for her good work in her recent appointment as Assistant City Manager for the City of North Kansas City, Missouri. Word on the Street: John is a leader in Georgia and nationwide. He served as the president of the West Georgia Inspectors Association. He brought forward idea to make the association more active locally and statewide in building safety. As a result of John’s leadership, the group received 2018 Chapter of the Year from the Building Officials Association of Georgia.